The Ambrosial Portal is a Shadow type weapon. Proof that technology developed in the Burroughs' Laboratory can be used in a more 'gentle' manner, this portal has opened a one-way entrance into a cheesey paradise. The Ambrosial Portal can be purchased for 8,000 gold from the Town of Digby Trapsmith. It refunds for 2,000 gold at the same location. 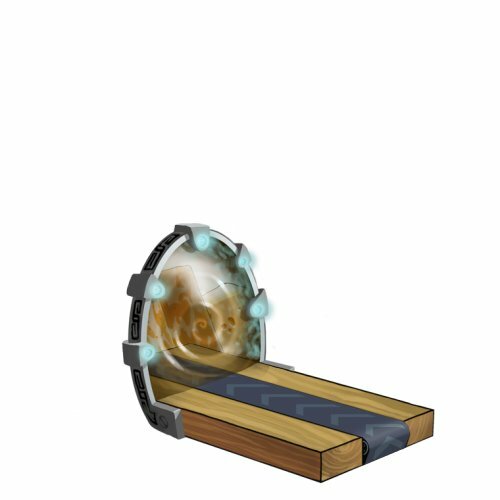 Sinister Portal – The Sinister Portal has a higher power bonus but a staler cheese effect and lower attraction bonus than the Ambrosial Portal. Sinister Portal or Ambrosial Portal - Which Should I Get? This page was last edited on 13 January 2019, at 14:40.